Thuis is a table lamp. A lamp that acts as a meeting place. A lamp as a landmark. A table lamp which provides shelter in public space. 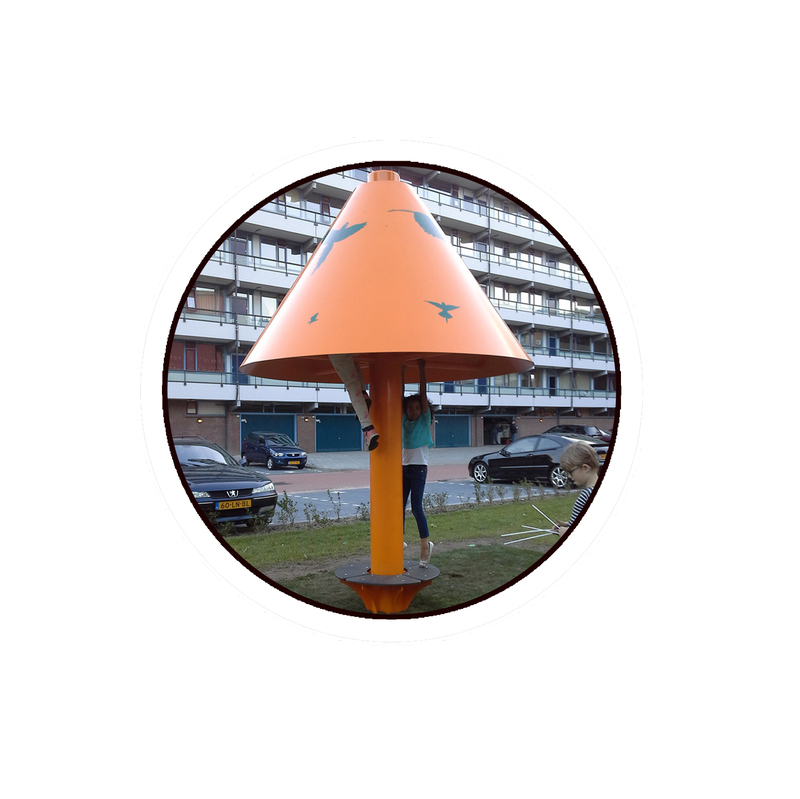 A lamp that is shaped by the residents of the JES. 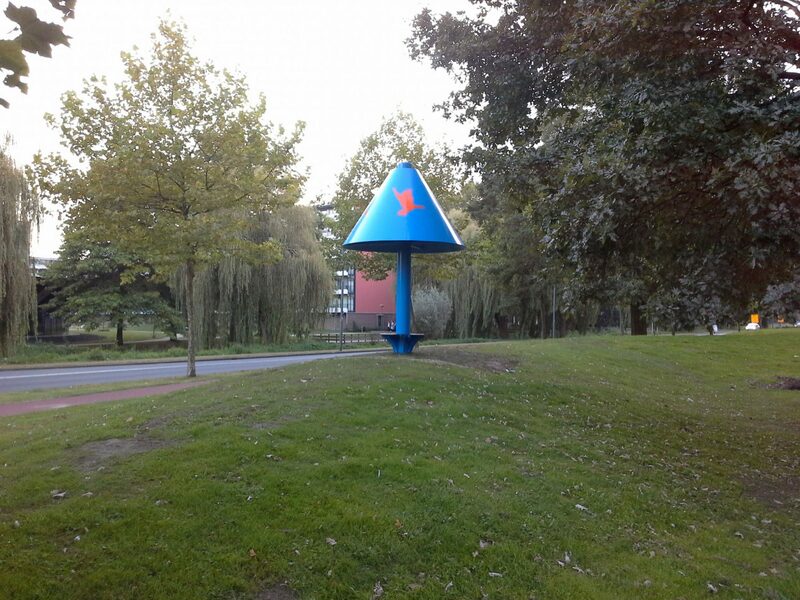 A part of Veenendaal were a the majority of the people consists of refuges from all over the world. On the cover of the lamp pictured are birds collected from all parts of the world; same parts where the residents of the JES come from. 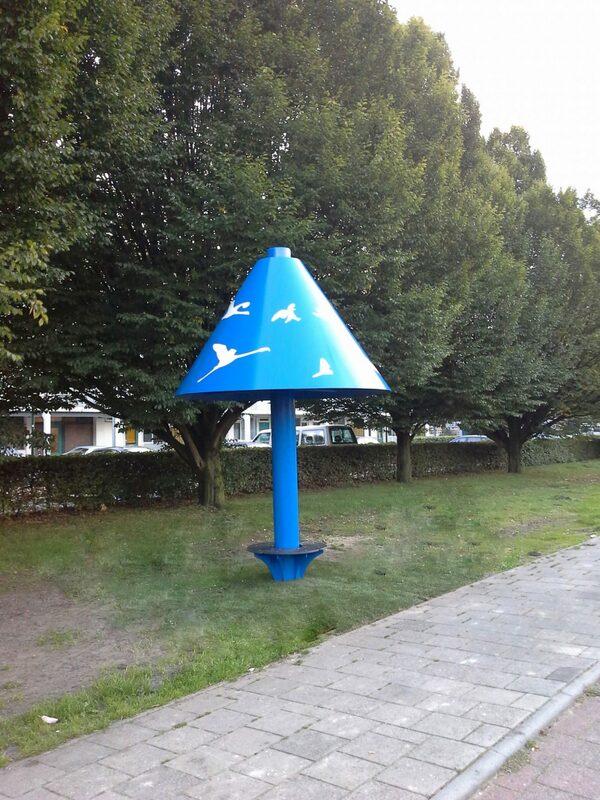 In fact, the birds represent the residents of the JES. The birds are in elected by the residents and given shape and then placed on the table lamp. The birds represent the native soil or places where people come from. Places where the residents are far from and sometimes desire to be back or even get homesick. The birds are in fact a metaphor for the human desire or dream, the freedom of thoughts without inhibitions or limits. For many, the meaning of ‘Home’ is twofold; here and there. The past and the present.